When UCLA implemented holistic admissions in the winter of 2006-07, there was significant concern on camus that this would simply be a subterfuge for racial discrimination. 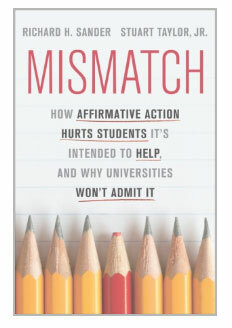 Then, in the fall of 2007, when the number of enrolled freshman blacks doubled and the number of Hispanics remained unchanged, it seemed obvious that UCLA was using holistic admissions to discriminate in favor of blacks. Tim Groseclose and I submitted public records requests for detailed, anonymized admissions data in 2008, and the university was initially unresponsive. But eventually Kevin Reed, UCLA’s chief legal officer, decided to do the right thing and make the data available. Reed deserves considerable credit for this. My analysis of the admissions data turned up three surprises. First, the holistic system by itself was not discriminatory. The system used before 2007 took into account many personal, social and economic factors that tended to favor blacks and Hispanics, but the holistic system did not favor them any more than the old system had. Second, the holistic system led to fewer admissions of the academically strongest students – the genuine academic stars — of all races, including the black academic stars. My guess is that this happened because the holistic system requires readers to keep track of too many student characteristics at once, and so readers make more mistakes. Third, the admissions officers running the system did not strictly follow holistic scores in making admissions offers. They made many offers to applicants with lousy holistic scores, and a very disproportionate number of these offers went to blacks. In particular, blacks who attended outreach sessions run by UCLA were especially likely to be admitted with poor holistic scores (and again, blacks got a big boost from these outreach sessions not shared by other races). My guess is that this happened because some admissions officers only knew about the race of applicants by virtue of their participation in outreach sessions. Any way you look at the admissions numbers from 2007 through 2009, UCLA was discriminating in favor of blacks on a substantial scale. This discrimination occurs after readers have assigned holistic scores. The holistic system per se produces no benefits – even racial ones – and some clear harms. It is therefore foolish for UC administrators to foist holistic admissions on the other UC campuses. They need instead to clean up UCLA’s admissions. It would also be nice if they would acknowledge that the UC system, in the post-Prop 209 era, is serving blacks and Hispanics very well; the number of minority graduates is up (in both absolute and relative terms), the number of minority four-year graduates is way up, and black and Hispanic students are getting better grades, and having more success in science and engineering, than at any time in UC’s history. In fermentum venenatis Nesta est, nec aliquam nisl porta ut. Nam accumsan placerat fermentum. In fermentum venenatis est, nec aliquam nisl porta ut. Nam accumsan placerat fermentum.